David Brown, owner of Seattle's Fox Plumbing and Heating, explains how to know when to replace or repipe your older Seattle or King County home. The main problem with plumbing in older homes is galvanized water pipe. Aging pipes get restricted, discoloring the water and seriously affecting the water pressure. You can put up with this for a while, but then you just cannot function with the limited water pressure in your tubs and showers and you have to replace the pipes. Fox Plumbing and Heating will give you an estimate to upgrade and update your pipes to high-grade plastic piping called PEX, a modern product that we think is superior even to copper. It’s also much more economical than copper. We’ll also assess your water service line that runs from your meter out to the street. If that also needs updating, we can use our new process called Trenchless Technology. This up-to-date procedure eliminates the need to tear up your property to install new pipes; now we can tunnel-bore underground to create a tunnel for pipes. It’s faster, cleaner, and cheaper than the old methods. Seattle Plumbers Warranties, What To Expect. Customer Service You Should Expect From Seattle Plumbers. Seattle Plumbers , did you pick the right one? 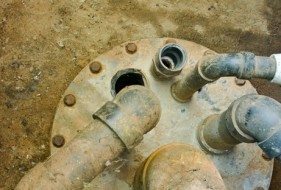 Failing to replace your old pipes as needed can lead to serious damage. A small leak can turn into a burst pipe very quickly. And homeowners shouldn't have to "deal" with low water pressure! Many older homes still have old pipe for water supply lines. Eventually they clog with deposits and water pressure and volume drop. The solution is to install new pipes. Yep, agree with this completely. Getting rid of the copper piping will make future repairs easier and cheaper. Love your trenchless technology too - what a cost saver!